The bright outdoors! 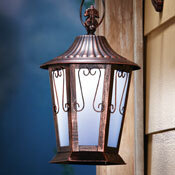 Outdoor lighting is perfect for illuminating the outside of your home or yard. Brighten up your exteriors with outdoor lighting fixtures from landscape lighting and solar lights to outdoor porch lights and patio lights. Anyone who wants to bring a special glow to the exterior of their home will adore this selection of outdoor lights from Collections Etc. From eco-friendly and dazzling solar patio lights to practical pathway lights that improve navigation when lighting is low, you’ll find something here that brightens up your life in more ways than one. What’s so special about our selection? 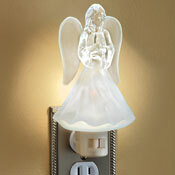 As you’ll notice when you browse, we don’t offer just any lights. We focus on outdoor lighting accessories that pack on the personality and charm to help make your space especially warm and welcoming to all who are invited. 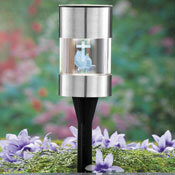 We have some of the best outdoor solar lights for the porch and patio at Collections Etc. Our exclusive assortment is teeming with solar porch lights that you can string on eaves or weave through banisters for a glowing look and ample charm. We also have functional, good-looking and affordable solar landscape lighting that you can install around pathways, driveways, gardens and landscaping elements to highlight special features and keep you and your visitors safe. 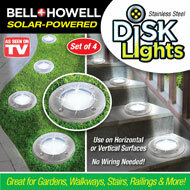 The best part is, these lights are simultaneously low-maintenance and free to operate thanks to the power of the sun. No matter which type of light you seek — whether it be glimmering outdoor lantern lights, twinkling string lights or hanging solar wonders — you’ll find that there’s a style here to play up your unique theme. Create a mesmerizing, themed environment with bright, solar-powered holiday lights and seasonal picks that help you usher in a brand-new time of year. Swap out your glowing accessories when the weather changes or to celebrate a specific holiday with these especially engaging year-round light-up decorations from Collections Etc.